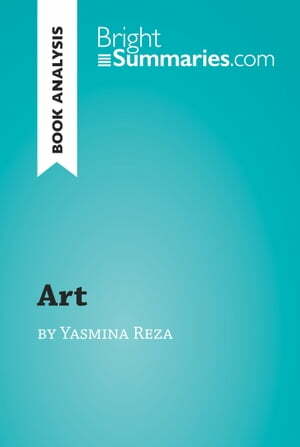 Collins Booksellers - Art by Yasmina Reza (Book Analysis) by Bright Summaries, 9782806270221. Buy this book online. ‘Art’ by Yasmina Reza is her most successful play and has won two Molière Awards and a Tony Award, as well as receiving several other nominations. It tells the story of three friends, one of whom purchases an expensive piece of art which prompts divided opinions within the group and becomes a source of conflict. Shed new light on your favorite books with BrightSummaries.com!